A fairly ordinary looking Oil-paper umbrella with an exotic design. However, people claim that this particular piece has been signed by a very special person named "Seijin". Whether that is true or not seems to be a bit unclear. There is even a theory that this person was forced to sign it or that they don't even know they signed it. In any case, this apparently makes this particular piece rather valuable. Not to mention that it can be used as a weapon in combat if one is careful enough with it. Disclaimer: there might be few other unmentioned abilities you will discover once you hold this umbrella for yourself. A unique piece of equipment that is apparently signed by Seijin. Might be fake, but it will still give you bragging rights? Description: First of the abilities that you were probably told nothing about when you were buying this. 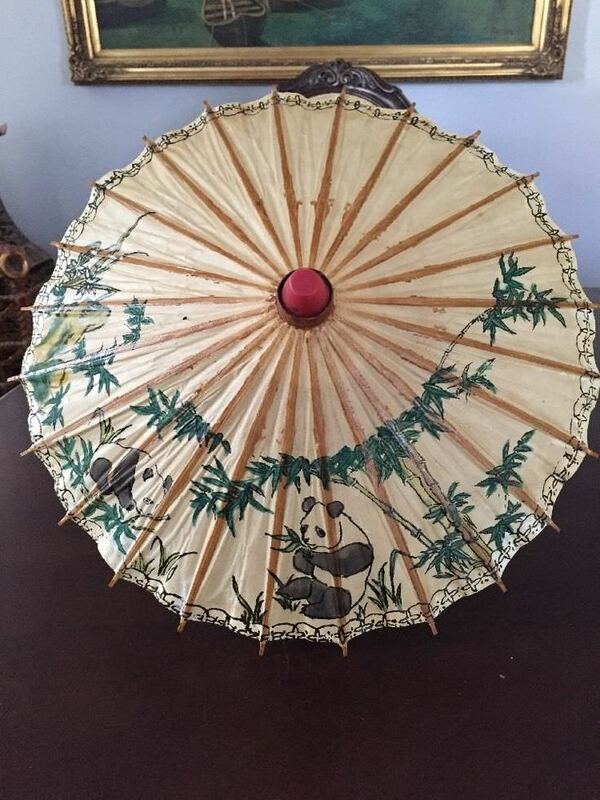 Whenever you have this umbrella on your person, there will be pandas nearby. Just... regular harmless pandas. They will walk around, try to cuddle with you or maybe eat your clothes. You might try to shoo them away, but they will remain and always appear without fail no matter the situation you are in. Maybe you could take on the role of the Panda King now? Description: The second ability of this 'weapon' that you will probably discover on accident. As long as you have the umbrella on your person, you will have a passive ability to turn into panda whenever you think of one. Which means that this will probably happen when you see those stray pandas from the first ability. Luckily, you can whenever turn back by just thinking of being human! Be careful to control what you think about now! 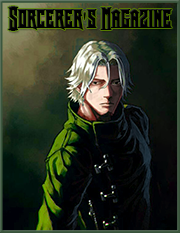 A seemingly ordinary silver key on the surface, but something very special in the hands of a capable mage that is not too prideful to call on allies during rough times. For such keys do not open any doors in Earthland, as one could easily judge by their unusual and curvaceous shape that'd fit no regular keyhole. With a symbol of a heart on one end, overcasting an angel's wing which represents the freedom of fairies who decide to help their summoners, this piece of equipment is also quite the sight to behold outside of its effective range. 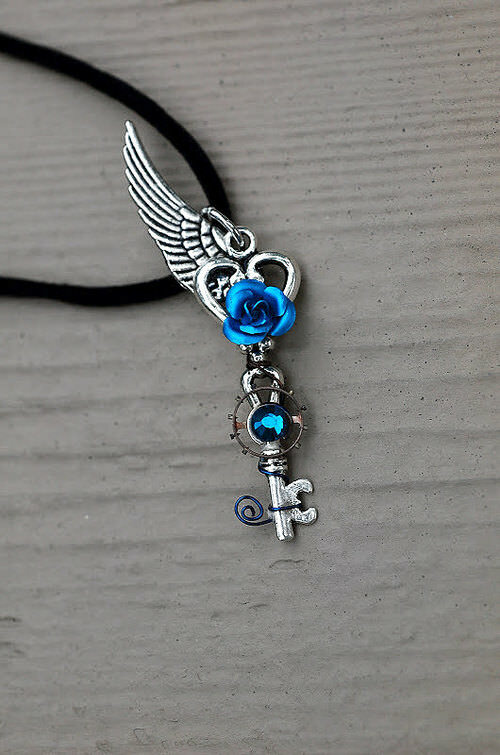 Seemingly masterfully crafted, it's center is also adorned by a small blue rose that is warm to the touch as if it was representative of the fairy's heart, filled with warm affection. And below this flower, a tiny blue gem that glows in the dark with a brilliant celestial light, encased in a silver summoning circle. Simply hold this key forward and give it a sacrifice of magic, call the friend who rests within and as a gentle winter, she will arrive to aid you with your trouble. This is the summoning key of the Winter Fairy, Kori. 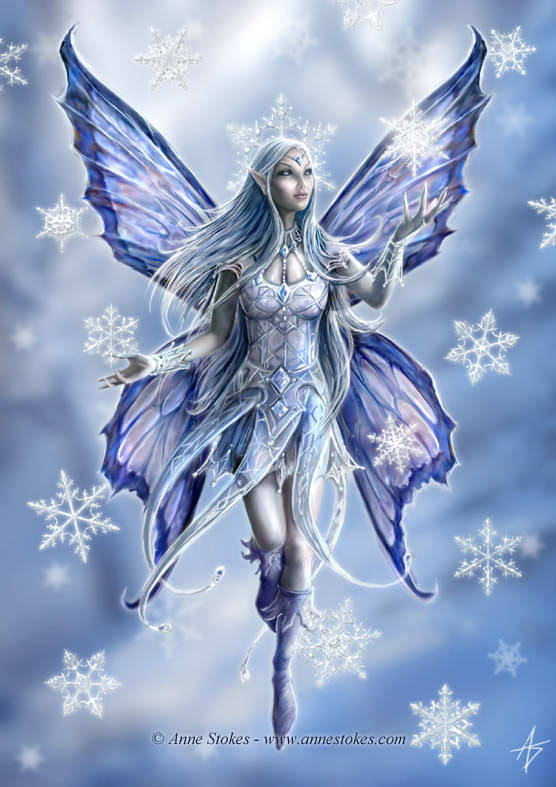 Once summoned, the fairy takes on a small, yet beautiful form of a human female with butterfly wings of ice and frost adorning her back, allowing her to fly around in a serene motion. Kori is a calm and collected spirit that is quite the opposite to the more hot-headed fire fairies. Not only does she make for an excellent partner in combat, but her wisdom and friendly personality can be of use at just about any given time, especially when one feels lonely. Acting like a big sister of sorts, she tries to comfort those around her and punish those that would dare to harm people that she cares about. But as any reliable summon, she always listens to her summoner first before deciding to take action on her own. Obeying any orders as long as they are not improper or dangerous to herself, the fairy is willing to go to great lengths to carry out the commands that were given to her. But despite her calm nature, be careful not to insult the Winter around her! Description: Spinning around, Kori can unleash her magic onto her master and temporarily cover them in a thin veil of frost that soon detaches and creates something akin to an ice clone of the mage. This clone is semi-transparent and does count toward the maximum amount of summons present on the battlefield. However, instead of having the usual passive and active abilities, the clone can simply use any spell of the original's magic. The catch is, the original still has to pay the required MP for any spell used and duration rules apply to both of them all the same. The same spell cannot be used by both the clone and the user in the same post. Health and damage of this clone are equal to that of a normal summon of the spell's rank, and the summon also cannot use any spells that are above its own rank. Description: Gathering magical energy around her summoner, Kori can create something akin to circular mirror that turns invisible and follows the summoner for its entire duration. This mirror is designed to absorb any single attack up to this spell's rank and will only become visible when doing so. However, the mirror is only big enough to block single, burst or multi-hit attacks, not AoE ones. It will automatically move in the way of an incoming spell attack and absorb it, or toward the strongest incoming attack if there are multiple ones. Once a single spell is absorbed, the mirror shatters. Once a flower, now a delicate piece of everlasting ice. This item is one of great beauty, normally generating faint blue glow and it's surface being of the same color, slightly transparent color. However, when it is introduced to another source of light, it will start dancing with many different colors like an everchanging rainbow. And while cold to touch and clearly made out of ice, this flower will never melt, no matter the heat it is exposed to. Aside from its obvious aesthetical purpose, the flower is also infused with magic. And while it probably won't be strong enough to win battles or wars, it is still assured to bring joy into hearts of many who decide to purchase this gem of a sculpture. Description: As long as the ice lotus lies with a mage, they can feed it magic and borrow its hidden power in daily life. The magic consumption is so small that it cannot even be registered, but the results can be more magnificent than anything else. This ability allows the owner of this item to create sculptures of ice even in the hottest of environments. These creations have no real function and cannot be used in combat at all, but allow the owner to express themselves to their fullest. Do your best and create something beautiful! 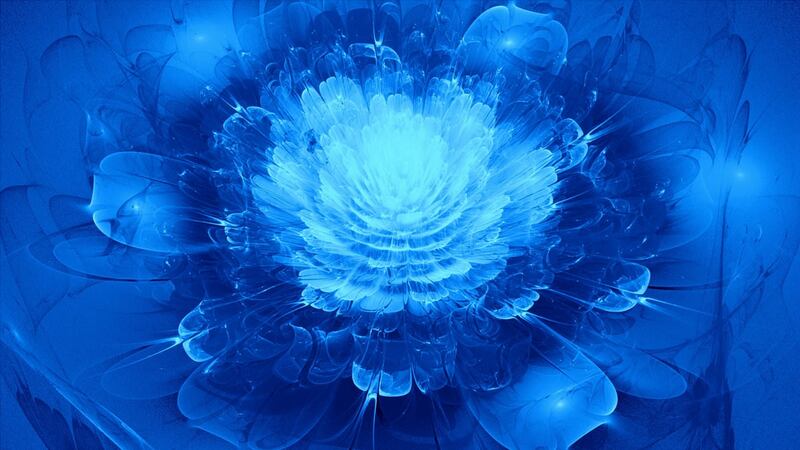 Description: When the lotus makes contact with magic, it starts emanating cold. This helps the first ability to take place, but it can also be used to cool down nearby objects. For example, food that you heated too much. The item also appears to be capable of generating cold chocolate if fed enough magical energy. 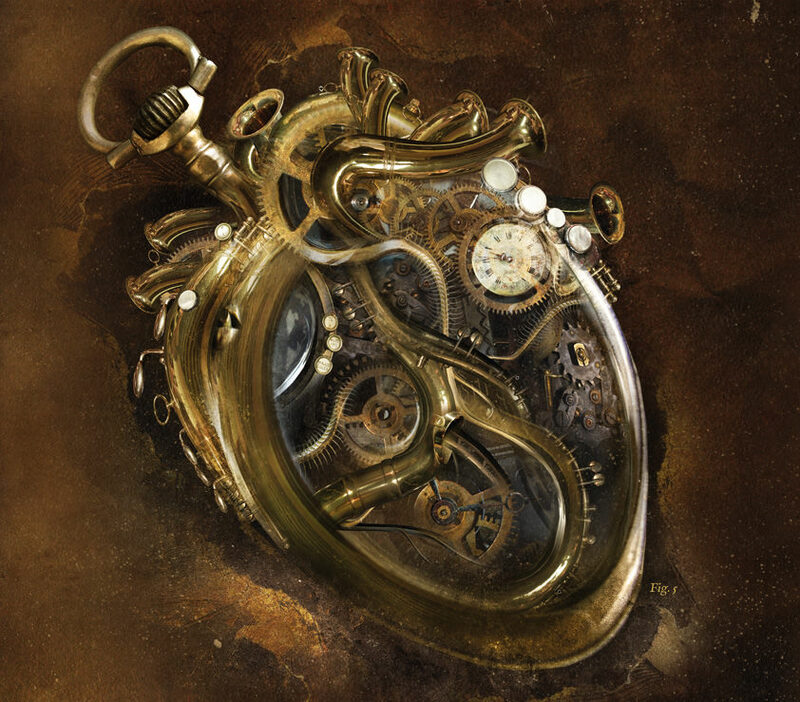 The Time's heart is an extremely impressive piece of machinery that works with magic instead of any other energy. The true origin of these is not known, but they are quite rare and very useful to those that wish to always have time on their side. Very difficult to make and powerful, they are not exactly common and give the one who holds it partial control over time itself. Or so it seems, at least. Many started to believe that the heart does not actually stop time, but instead accelerate brain of the user, or even forms an illusion inside of their brain. Whichever one of these is the truth, the results cannot be argued with regardless. Description: If one holds the mechanical heart in their hand and squeezes it, the mechanism inside will start working and activate a powerful spell. This spell can only be used once per thread, but it will completely stop time of the entire world. The user will appear outside of their own frozen body as a ghost and will be able to walk around in the maximal burst range for the spell's rank. 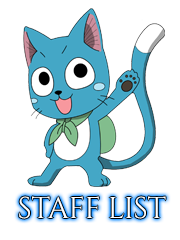 While in this form, they cannot interact with anything, nor can they use any of their other abilities and spells, but are free to observe the stopped world in any way they wish. At the end of the user's post, the ability ends and time starts running again, forcing the user back into their body. Everyone else will not notice this ability, however. Yanyu was born a little differently than most girls of her village and it showed in her pale, moon-blue hair and matching eyes. When she was born she was sent away to a secluded temple high in the mountains, where she never learned of her parents or the village she was born in. Even there she was treated differently from the others and the others took to bullying her as she was favoured by the priest and priestesses within the temple. She tried not to hate those her age but it was hard, eventually losing her temper, getting herself into trouble before being reminded that behaviour like this didn't befit someone like her. She naturally kept this in mind, thus keeping all the anguish and pain from what the others would do to her locked inside. Though it didn't stop there, eventually escalating. One winters night under the full moon she was lured out of the temple and locked out. She banged on the door begging and pleading for them to let her in but all she heard was the chuckling of her fellow shrine maidens growing more and fainter. When the morning came her frozen body was found holding a lantern, covered in butterflies, frozen tears running down her face. It was at this point those within the temple realised what they had done to the innocent girl and prayed for her to find peace, however that might be. Description: Yanyu realises that spells often require a little more distance and speed to get to where they need to go and quickly, due to this while she is out any ability/spell she or the one who holds her key uses are both faster and can go further starting at 10% at D rank and gaining 5% more every rank thereafter. 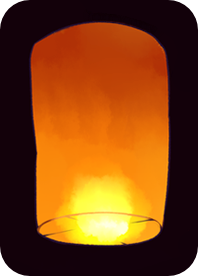 Description: Yanyu holds out her lantern towards the one she wishes to help, within it a warming light can be seen to be floating out of it and towards the one within range. The butterflies that seem to follow her follow the light and lay on the one that she has decided to help. 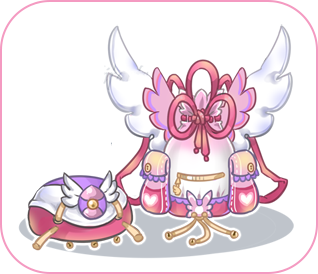 While the butterflies are on a person they heal for 25% rank spell HP each round while protecting them against 80 damage at D rank, 120 at C, 160 at B, 200 at A and 240 at S. She can only help one person at a time so until the shield is destroyed she can't give another. This ability lasts the maximum of 10 rounds at S in which the durability of the shield regenerates at the beginning of each round as the ability is recast. 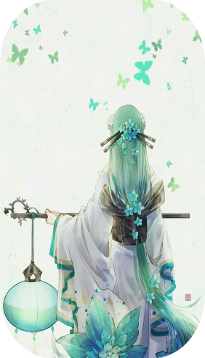 Description: Yanyu raises her hand towards the enemy, sending the butterflies out towards them, each butterfly that lands on the enemy leaving a touch that stings like burning fire. The butterflies each deal rank multi-target damage to the one they land on. If one flies onto to you it will leave a draining effect of 5% MP per turn that will continue until the end of the spell's duration regardless of whether they touch you again or not. Each butterfly has a durability of 10HP, with new ones appearing next turn if the old are destroyed. A carefully crafted anomaly, the Soaring Whim is a sky lantern that carries the wishes of an individual, the flames rising it into the heavens simply for the hopes of having a good year. However, the exceedingly rare magic-endued lantern also allows its user to use it as a passage of sorts, essentially teleporting them the lantern’s own faraway location. To use this ability, all one has to do is send their lantern somewhere by writing the location onto it. A Soaring Whim allows for someone to essentially teleport to it from however far away they desire, whether it be across the globe or two blocks away. However, when one does teleport to Lantern they can’t interact with anything and nothing notices them, only allowing simple observations. Also, they can only stray a maximum of user burst range from their lantern before making it move more or just returning back to their original location. What new year would be complete without a fireworks display? But then again ... why only have it once per year? Fireworks bring happiness and joy to any who see them and can often take your mind off of more pressing matters. This little crystal allows you to keep the celebrations all year round ... and who knows, you might even find it helpful in a pinch. Description: Fireworks are fun to watch but these can be used in a more practical manner. When activated the crystal will release a firework in whatever colour or shape the wielder wants, allowing short messages to be sent or even acting like a flare. This ability can be toggled on and off at the user's will. Description: As everyone knows on occasion fireworks might not go off, they always say never return to a firework that never goes off because it might discharge unexpectedly. Still, there is always someone that does and ends up with the firework blowing up in their face. Once per thread, a firework can be launched at a single enemy within 100 meters at 100 meters per second, blowing up in the enemy's face should it hit, immobilizing them for one post. Wands, at some point in the past, were a major approach to channeling magic. However, nowadays use of such things is just a drop in the various ways of harnessing magic, but once in a while, one may come across a Fragment of the Otherworld. It is a long, thin piece of ash wood, the color darkening to nearly black at its base. The wand could be regarded simply as a relic from the past, but as the name suggests they are not of this world. Instead, the Fragments were crafted in a land called Tír na nÓg, although most may just refer to it as the Otherworld. It was said to be a paradise of everlasting youth and vitality, and the wands are reflections of this. Applied Sorcery Wands are innately magical items, and the Fragment is able to apply a variety of charms and enchantments. This allows the user to add such things to any non-magical inanimate object. These may range from allowing items to float in midair, changing their color, and altering their size. There seems to be no limit to how many enchantments may be cast and they last however long the user wishes them to. Enchanted Link The Otherworld is said to be a land full of immortals, all of which are free to enjoy the fruits of their home as they wish. However, due to the wand's connection to such a world, a few properties of it still carry over. 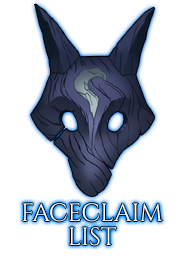 And thus the Fragment carries an innate ability to decrease the age of that it is applied to, may it be an object of another person (needs OOC permission for player characters, player-owned NPCs and Event NPCs). This could turn back the clock as few as 2 seconds or as many as 50 years, whatever the user chooses. The effect lasts only for max user normal spell duration before wearing off and allowing the target to return to its original age. Being a mythical creature that leaves exquisitely decorated eggy surprises for countless kids is exhausting when using only an outdated, poorly made wicker basket. Eggs were always falling out as he ran as fast as he could, breaking and entering homes and littering meadows and parks with colorful treats. Worse yet, the basket couldn’t hold too many, so the return trip to replenish the egg supply was horribly inefficient! What was a bunny to do? Make a better carrier, of course! Using the help of some fairies in his realm that helped a certain fat man in a red suit, Long Ears came up with a fashionable backpack that could hold endless amounts of eggs. Never would he have to hop back at lightspeed to pick up more! It contained a pocket realm that would never fill up, no matter how many things were put into it. Plus, it was hands-free. And heck if it wasn’t cute to boot! Description: Just because he used it for eggs doesn’t mean you have to. While there are still an obscene amount of adorably painted eggs filled with surprises in there that you will never be able to eradicate from it, you can also store whatever you need in there. It usually knows what you’re looking for when you reach in, though don’t expect it to come without at least an egg or two with it. Because you can store literally everything in it without it adding any weight to the bag, you become lighter yourself, gaining a speed buff [D-40%, C-45%]. I'd like you to add the summon stats here for a normal S ranked summon (250HP, 35 melee damage, single target range+speed). Cooldown: Duration + 1 post This cooldown may be removed. Description: Spinning around, Kori can unleash her magic onto her master and temporarily cover them in a thin veil of frost that soon detaches and creates something akin to an ice clone of the mage. This clone is semi-transparent and does count toward the maximum amount of summons present on the battlefield. However, instead of having the usual passive and active abilities, the clone can simply use any spell of the original's magic. The catch is, the original still has to pay the required MP for any spell used and cooldown/duration rules apply to both of them all the same. If one casts a spell, it will enter cooldown for both of them and so on. You may remove the cooldown parts from this section (keep duration points). Health and damage of this clone are equal to that of a normal summon of the spell's rank, and the summon also cannot use any spells that are above its own rank. If the clone or original casts a spell, then it will enter cooldown for both of them This point can be removed. Could you add a spell type here as single-target? Cooldown: Rank's minimal cooldown Can be removed. Description: Gathering magical energy around her summoner, Kori can create something akin to circular mirror that turns invisible and follows the summoner for its entire duration. This mirror is designed to absorb any single attack up to this spell's rank and will only become visible when doing so. However, the mirror is only big enough to block single, burst or multi-hit attacks, not AoE ones. It will automatically move in the way of an incoming spell attack and absorb it, or toward the strongest incoming attack if there are multiple ones. Once a single spell is absorbed, the mirror shatters and the spell enters cooldown. You may remove cooldown part. Like you predicted, this is indeed the only item that needs a few edits. All edits made in this lovely color! 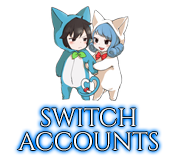 Keep in mind, as you did not make this item, I am only making edits necessary to fit it to our current rules and not changing or suggesting improvements to its existing mechanisms.